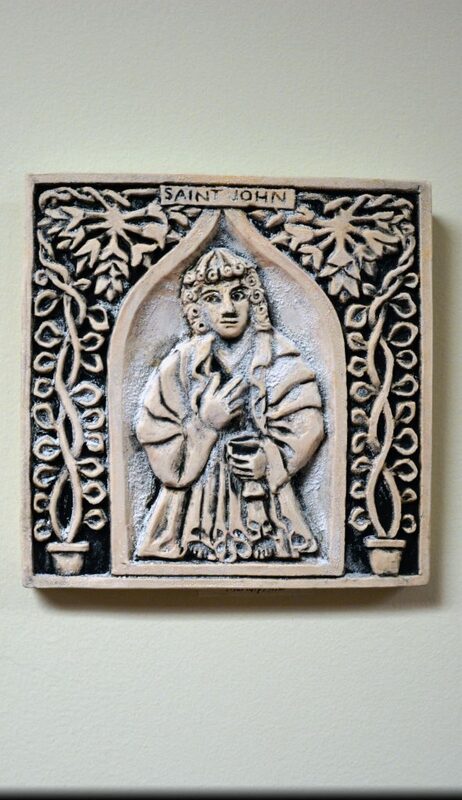 Who in the world is John the Divine? 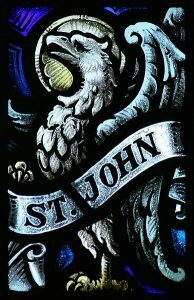 John the Divine or Saint John the Divine refers to the man whom Christian tradition variously calls “John of Patmos,” author of the Book of Revelation, “John the Apostle,” and “John the Evangelist,” author of the Gospel According to John, and the three letters of John in the New Testament. 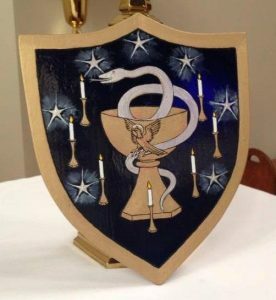 John and his brother James are recorded in the Gospel as being so hotheaded and impetuous that Jesus nicknamed them “Boanerges,” which means, “sons of thunder.” They also appear ambitious, in that they sought seats of honor at Jesus’ right and left when he should come into his kingdom; yet they were faithful companions, willing, without knowing the cost, to share the cup Jesus was to drink. When the other disciples responded in anger to the audacity of the brothers in asking for this honor, Jesus explained that in his kingdom leadership and rule takes the form of being a servant to all. If, as is commonly held, John is to be identified with the “disciple whom Jesus loved,” then he clearly enjoyed a very special relationship with his Master, reclining close to Jesus at the Last Supper, receiving the care of his mother at the cross, and being the first to understand the truth of the empty tomb. The Acts of the Apostles records John’s presence with Peter on several occasions: the healing of the lame man at the Beautiful Gate of the Temple, before the Sanhedrin, in prison, and on the mission to Samaria to lay hands upon the new converts that they might receive the Holy Spirit. According to tradition, John later went to Asia Minor and settled at Ephesus. Under the Emperor Domitian, he was exiled to the island of Patmos, where he experienced the visions recounted in the Book of Revelation. Irenaeus, at the end of the second century, liked to recall how Polycarp, in his old age, had talked about the apostle whom he had known while growing up at Ephesus. It is probable that John died there. He alone of the Twelve is said to have lived to extreme old age and to have been spared a martyr’s death.